Picnics are usually great in theory. Ok, in practice as well, but there are some things that no happy picnic picture shows. You will never see sore elbows or painful grimaces from that lying/sitting position that people take while on blankets on the ground. On the other hand, having too much home comfort accessories on a picnic definitely ruins the point of it and spoils the pictures as well. 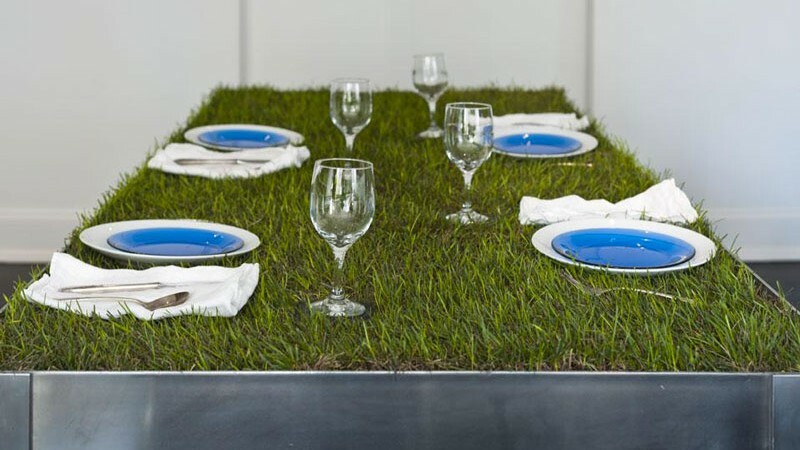 Well, Haiko Cornelissen Architecten team’s Grass Top PicNYC Table seems like a perfect compromise, made of a lightweight aluminum frame and ‘table top’ out of soil, grass and stones. 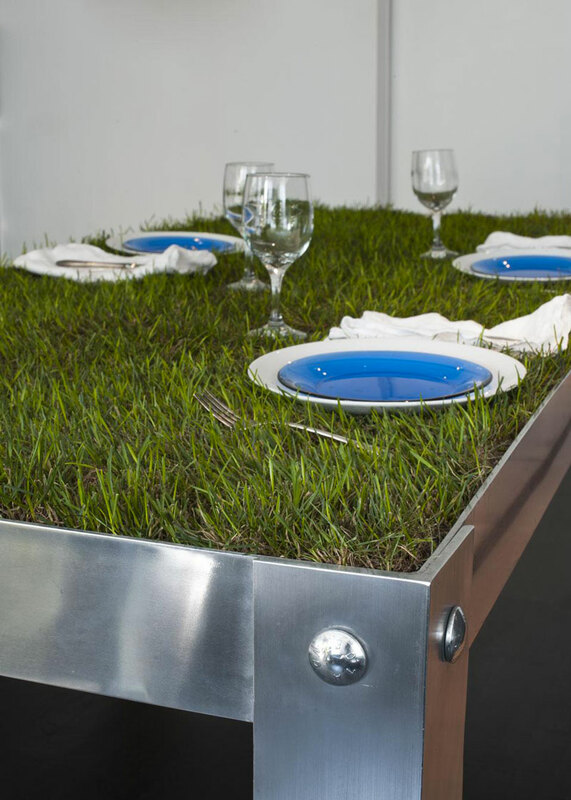 With it, you get a true, tangible and visual picnic experience, while improving the comfort, and all this with a lovely looking table that is sure to hurt nobody’s eyes. 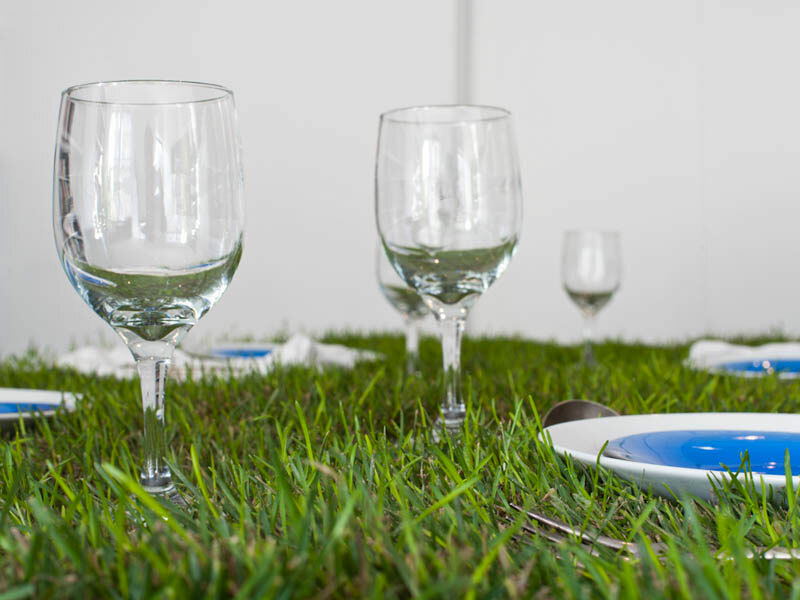 This kind of a product can be very useful not only for picnics, but also as an amazing patio or garden furniture piece that gives you the full practicality of a table without sacrificing the visual element of your design.